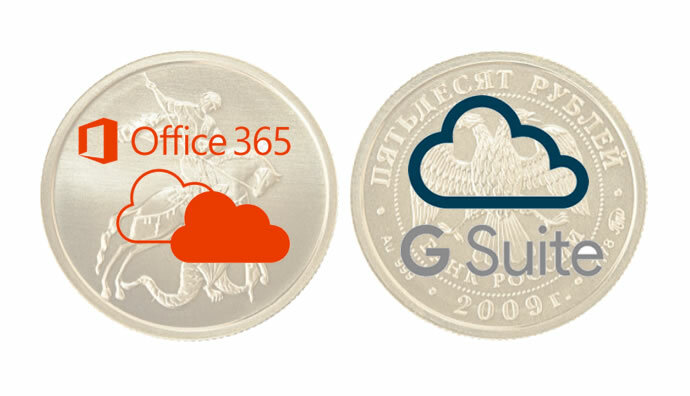 Recently I’ve been doing a comparison between Office365 and G-suite and a realization hit me, oh my gosh, they are opposite sides of the same coin, (as if any IT support analyst didn’t already know that). From an enterprise end, as an implementer and decision maker one can clearly see; mail, unified communication, and collaboration pronto. Google Docs, Sheets, Slides, and Forms. Bottom line; both are cloud computing, productivity, and collaboration tools for the business enterprise, and tend to give you the illusion that you’re saving cost not getting on-prem licensing. If you are an SME, and you are not creating lots of user accounts on Azure Active Directory for Exchange Online, you may be getting a good ROI on O365; but to be fair and square, I think G-suites seems to have a better return on investment for cloud apps. In the end, kudos to Microsoft and Google for giving us a remarkable cloud product. This entry was posted on Sunday, February 3rd, 2019 at 6:11 am	and is filed under Uncategorized. You can follow any responses to this entry through the RSS 2.0 feed. Both comments and pings are currently closed.